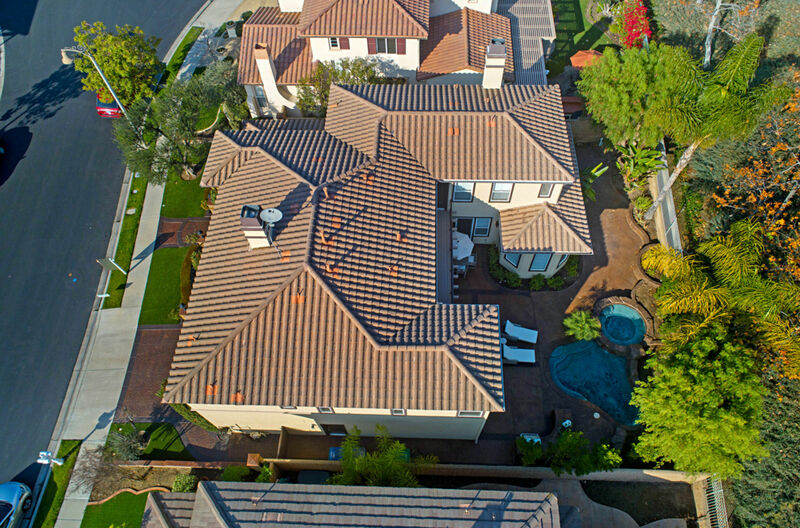 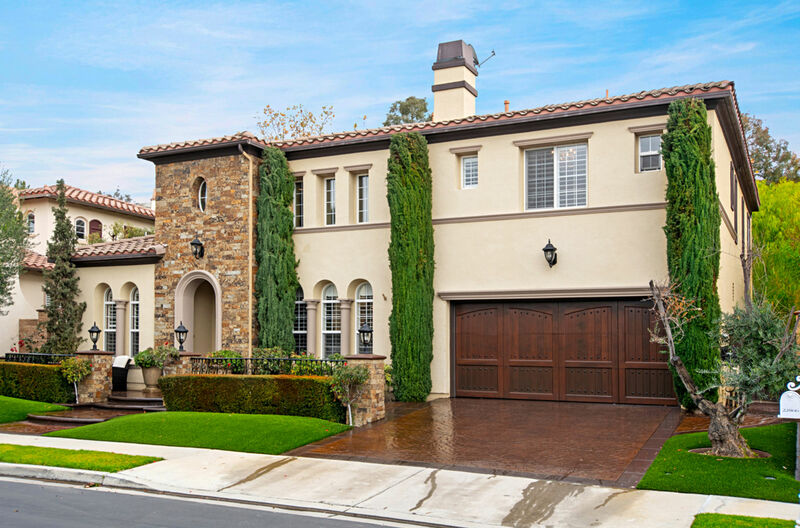 PRISTINE LUXURY ESTATE in guard gated Stone Ridge is upgraded to perfection with attention to every detail. 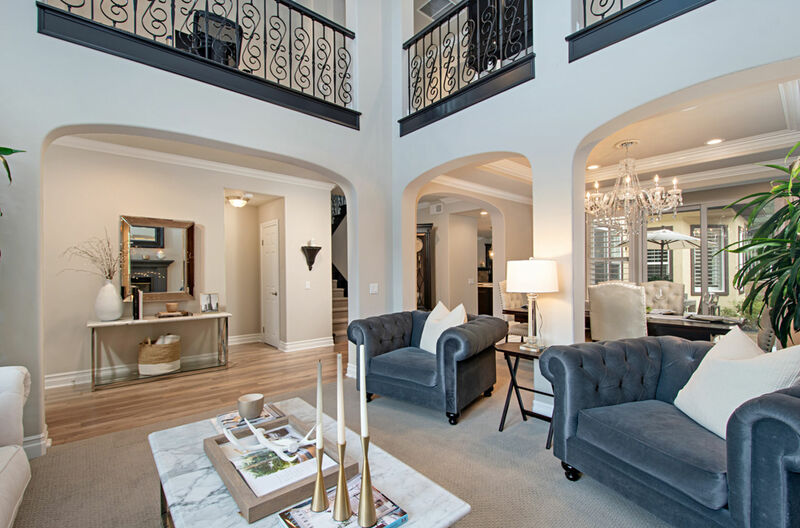 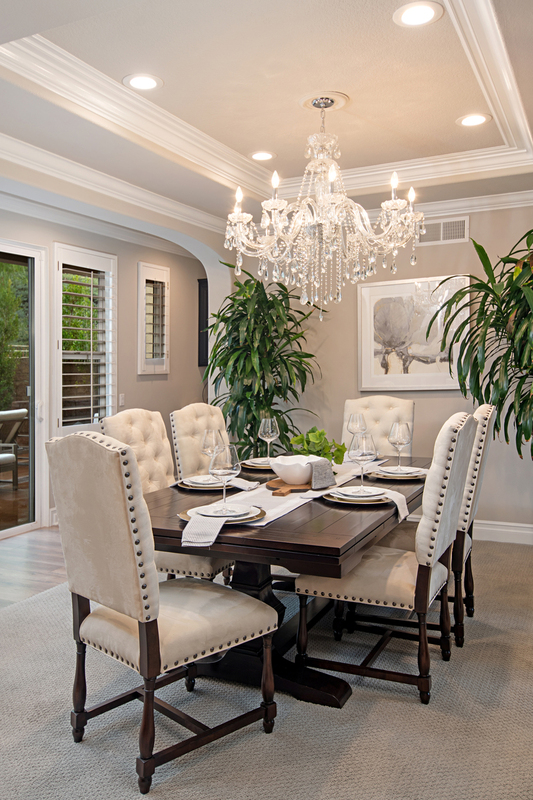 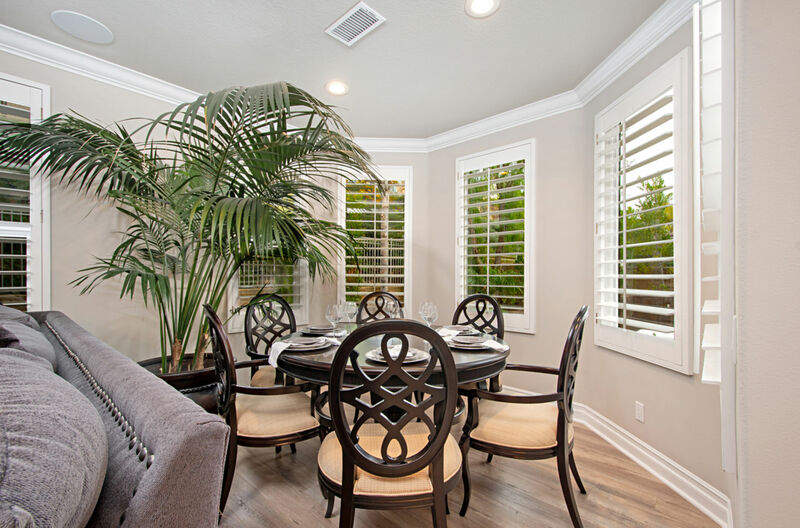 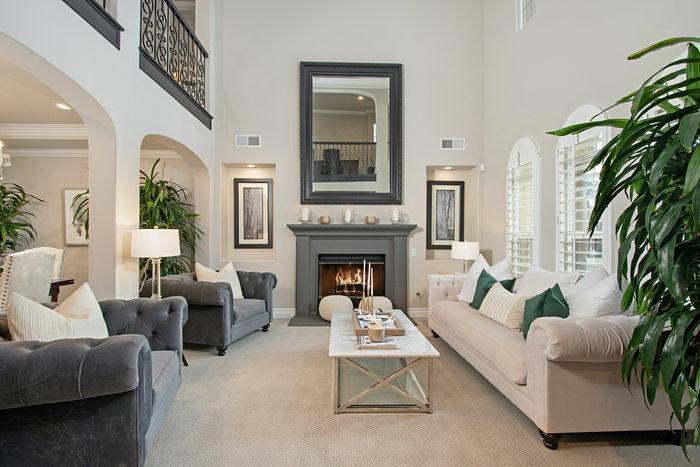 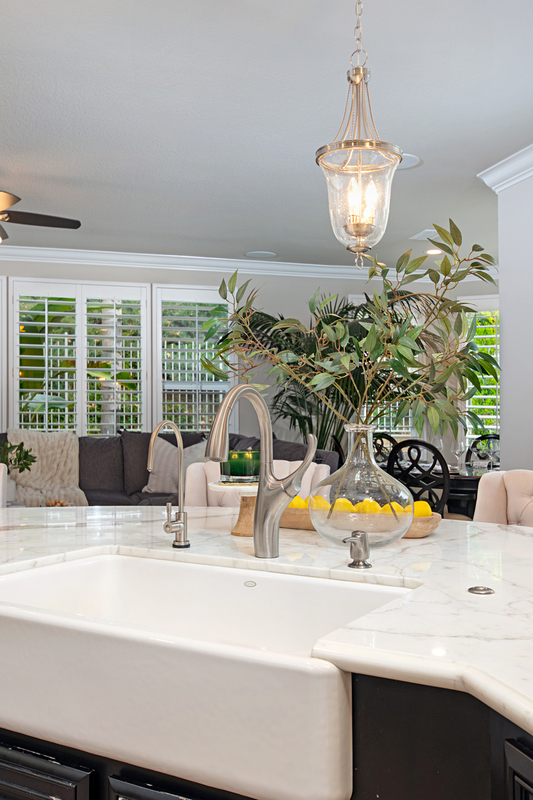 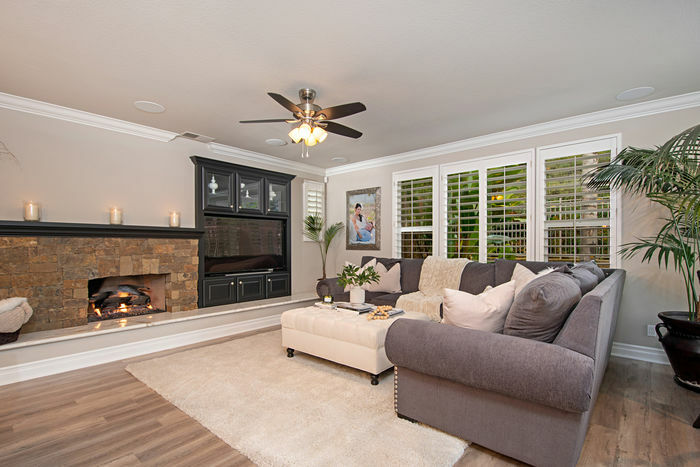 Your guests will be wowed at first of this Shea Highlands’ Bruce Residence model 3 which has every upgrade imaginable. 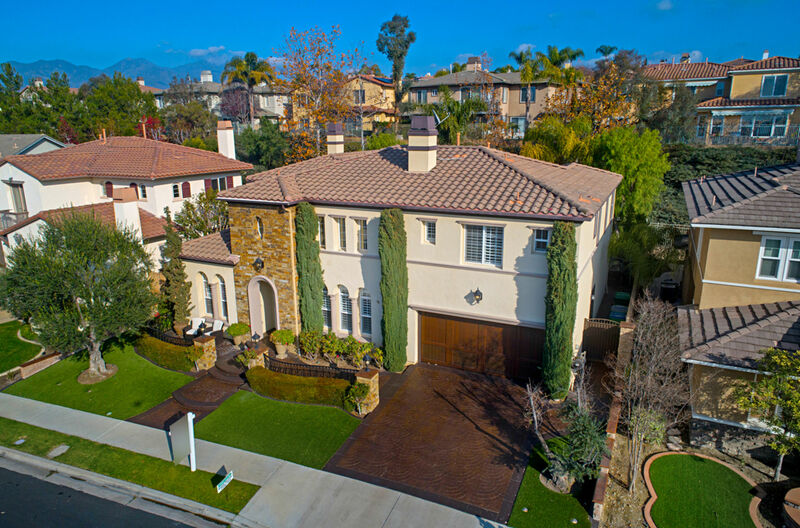 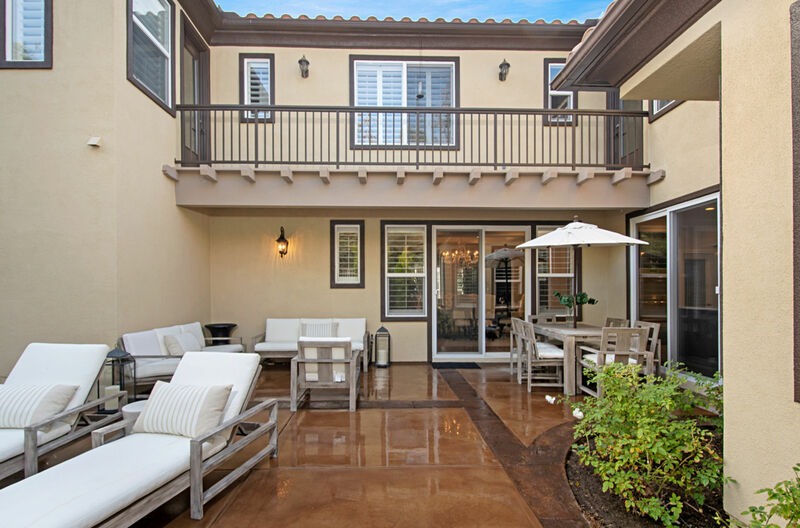 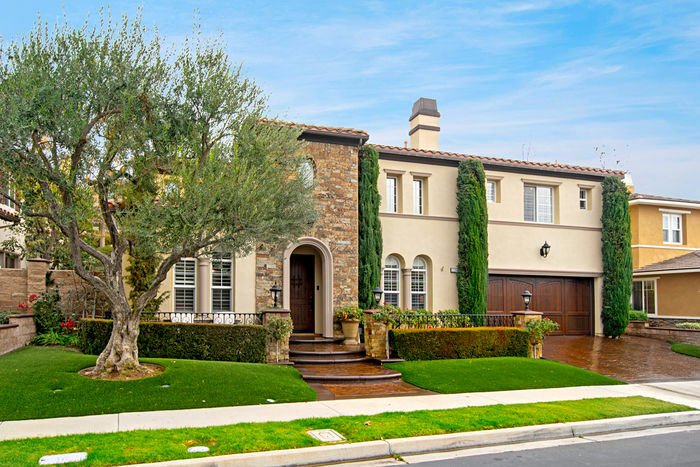 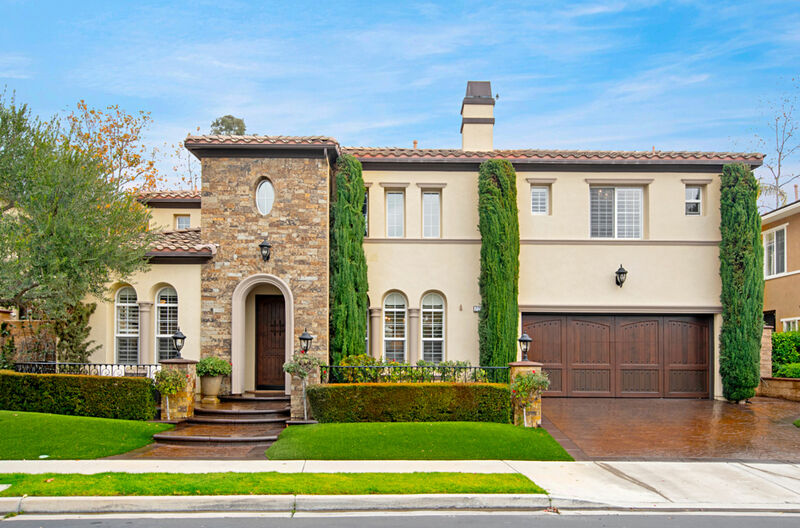 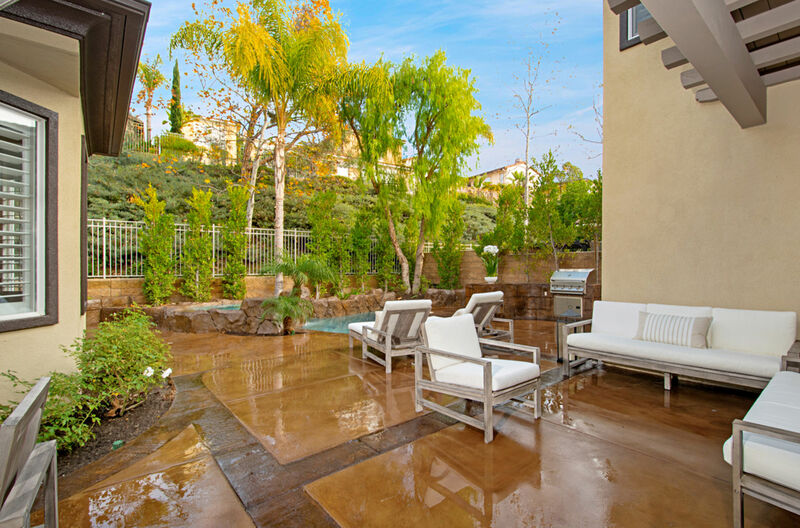 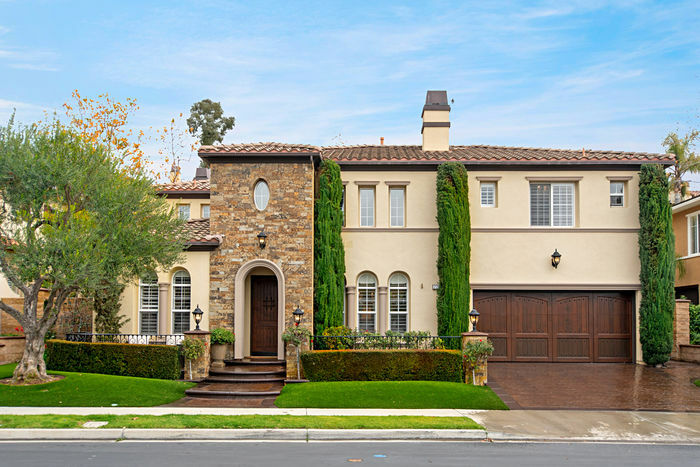 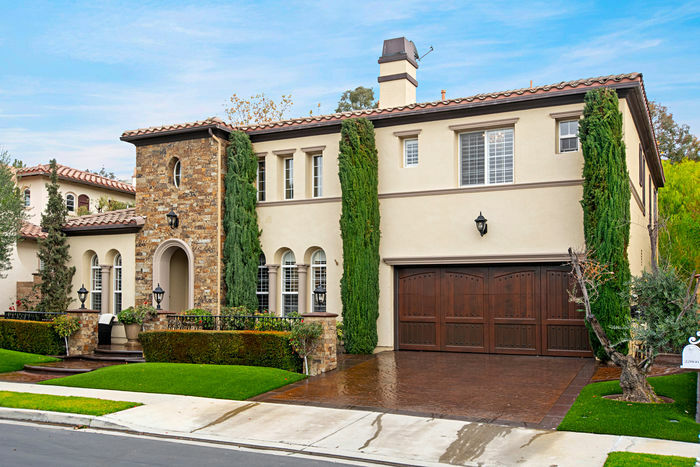 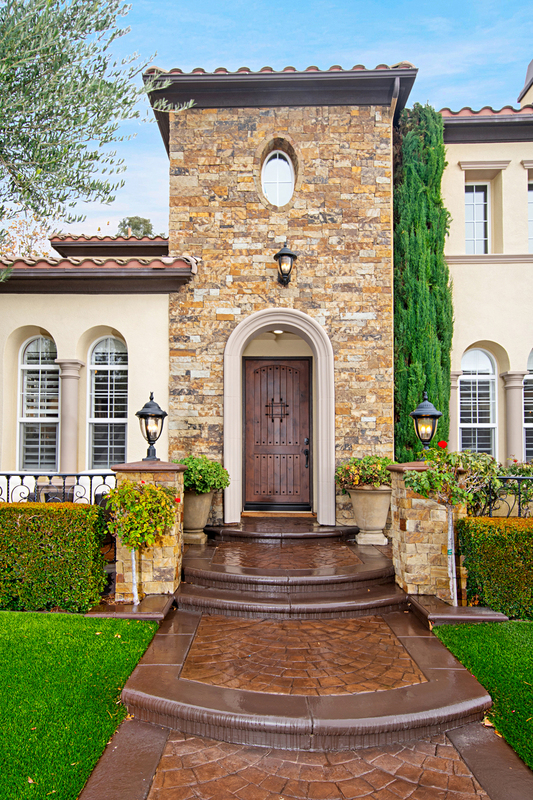 Stunning curb-appeal includes STONE VENEER entry and balustrades with WROUGHT IRON handrails, European fan STAMPED CONCRETE hardscaping, low-maintenance ARTIFICIAL GRASS, rich wood and iron garage door and ITALIAN OLIVE TREES. 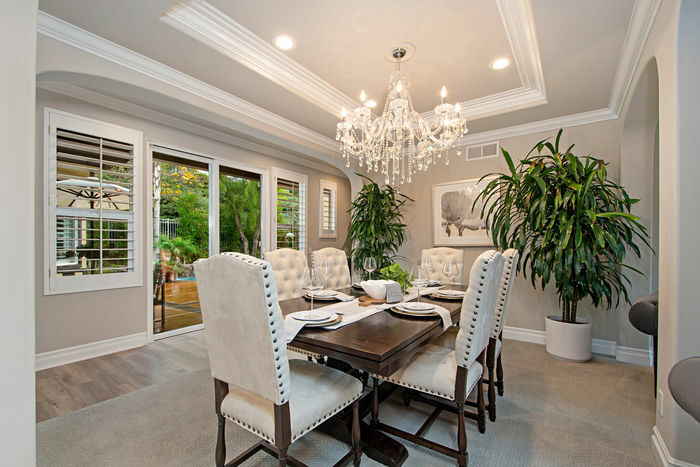 Be greeted by a grand two-story formal entry with open concept formal living and dining areas adorned by custom lights and sparkly CRYSTAL CHANDELIERS. 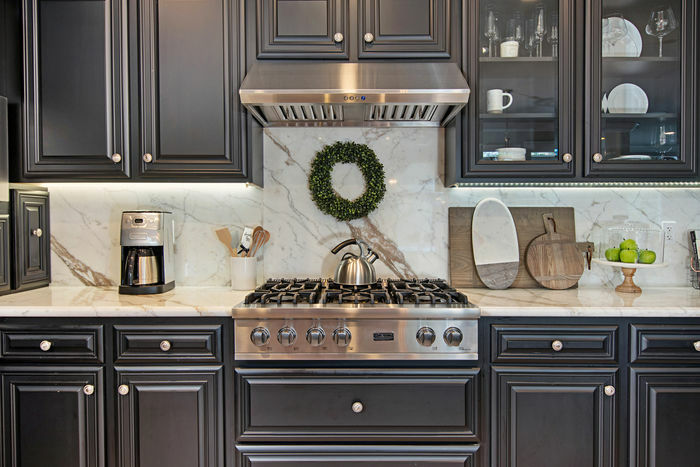 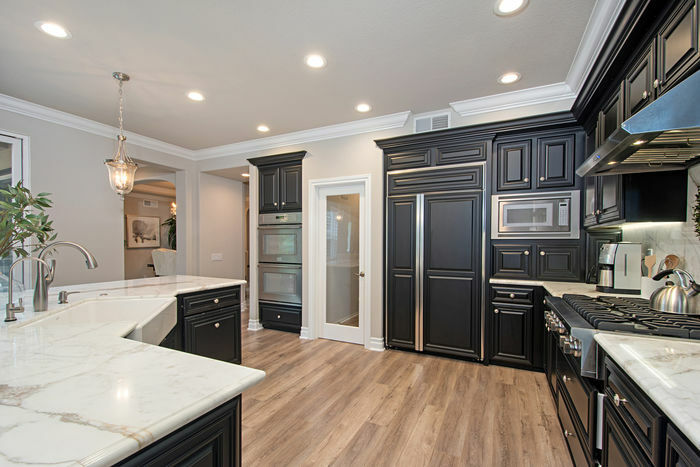 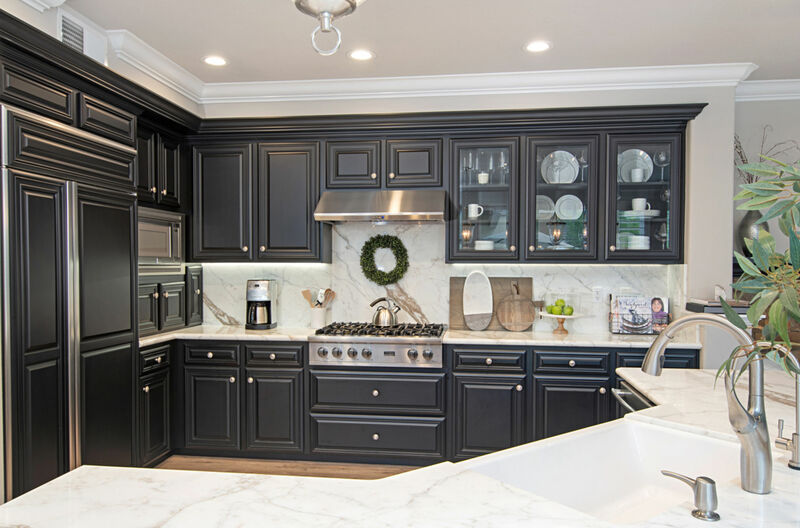 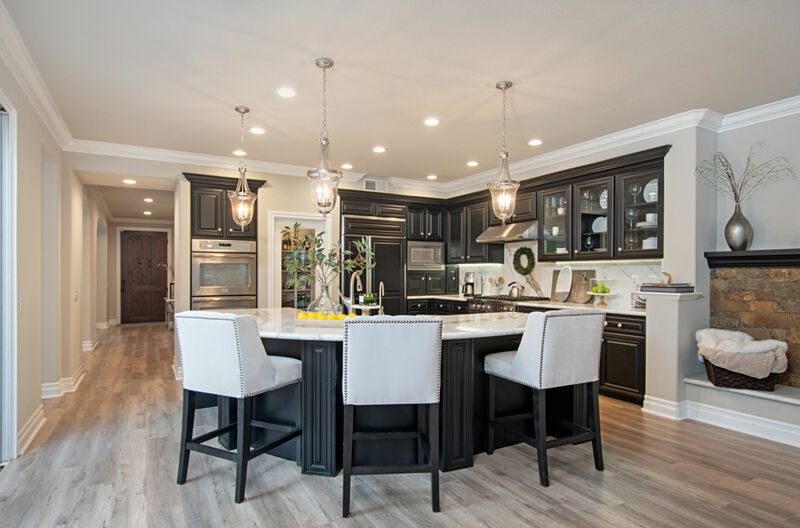 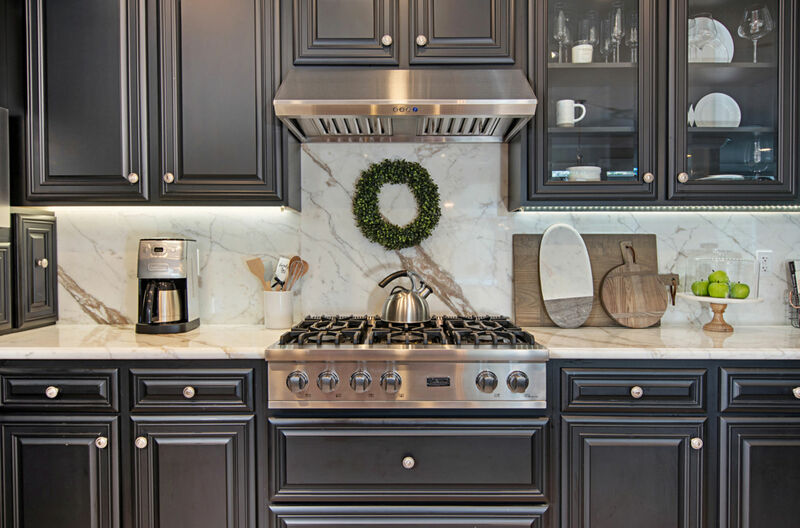 A fully remodeled Chef’s kitchen with CALCUTTA MARBLE COUNTERTOPS, STAINLESS STEEL APPLIANCES, VIKING COOKTOP, huge Porcelain FARMHOUSE SINK, walk-in pantry, new cabinetry and custom pendant lighting over the MASSIVE ISLAND that opens to the designer family room and breakfast nook. 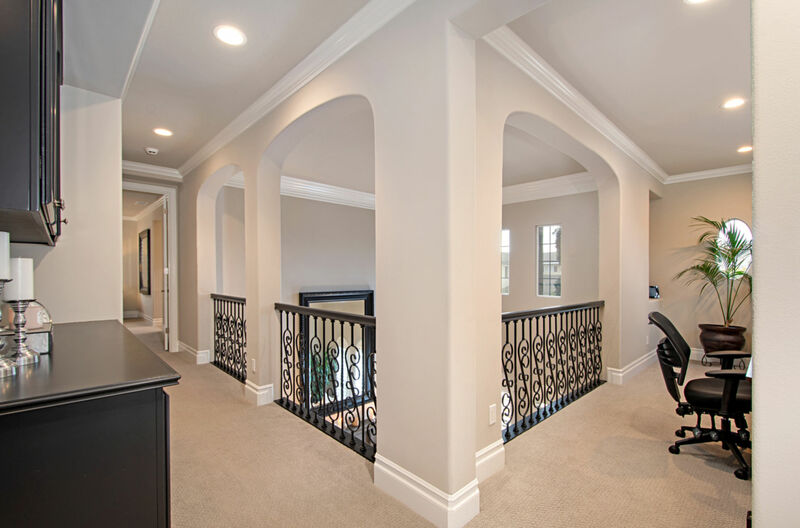 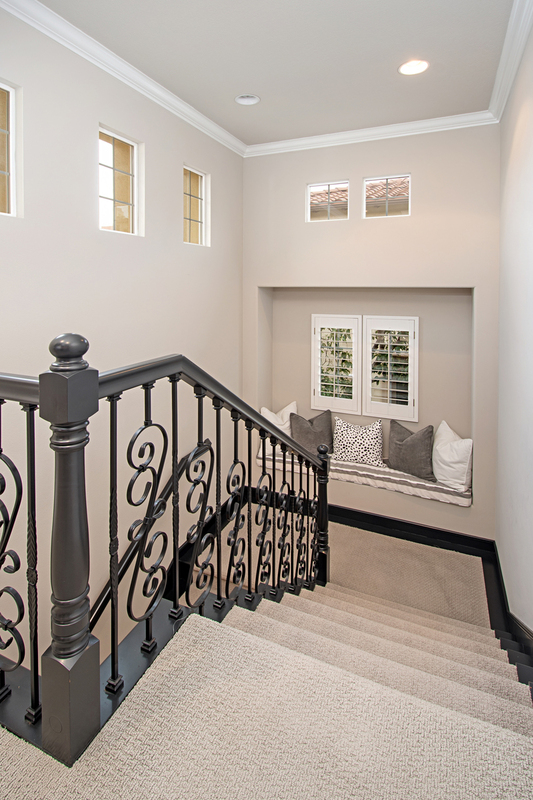 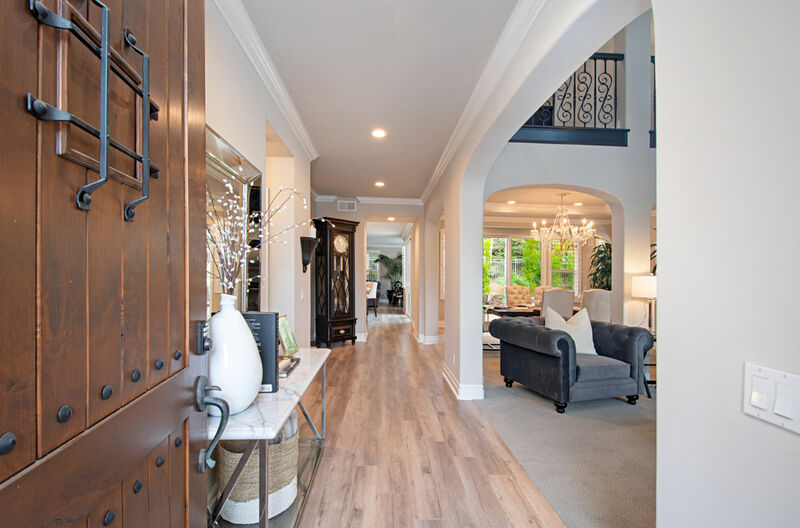 This home is a must-see to appreciate the craftsmanship of 8-inch baseboards, WATERPROOF VINYL WOOD floors, crown molding, expanded door casings, wrought iron stair rails and PLANTATION SHUTTERS. 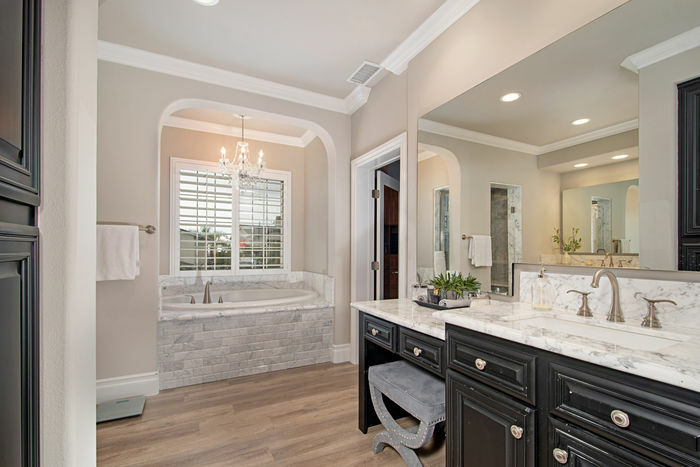 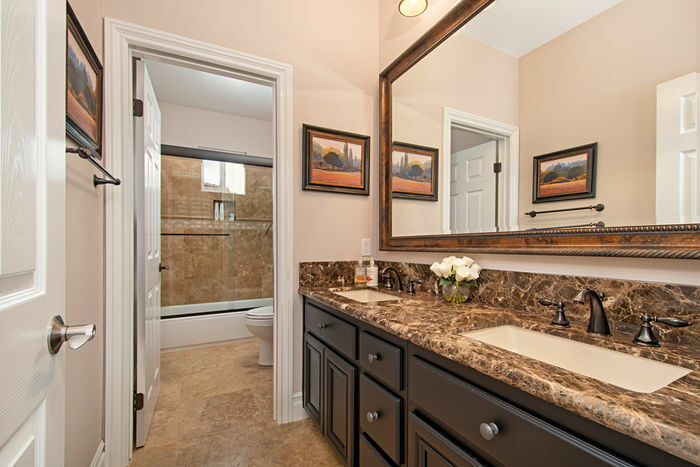 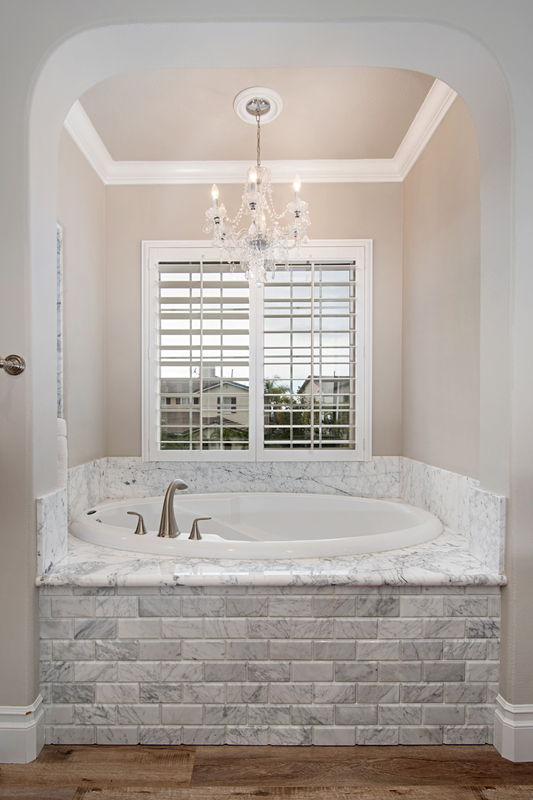 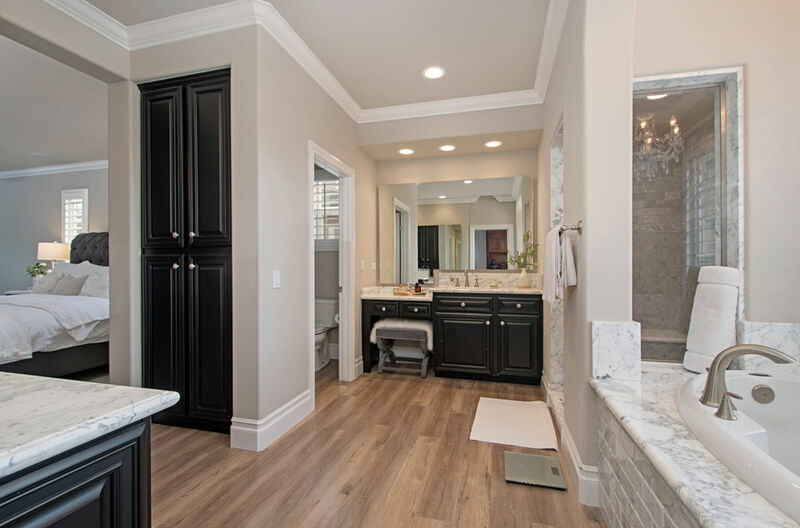 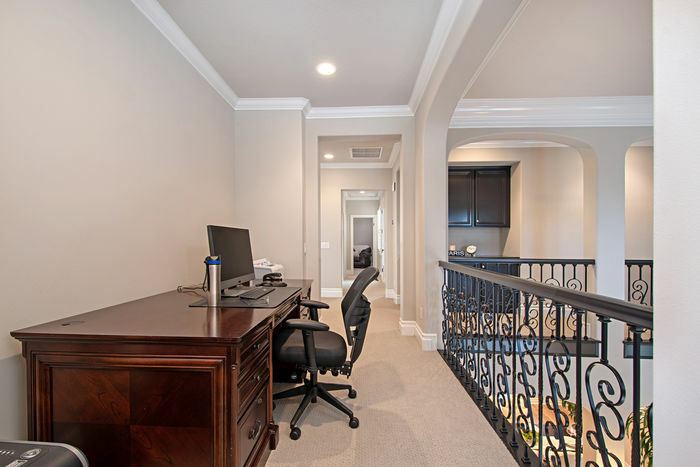 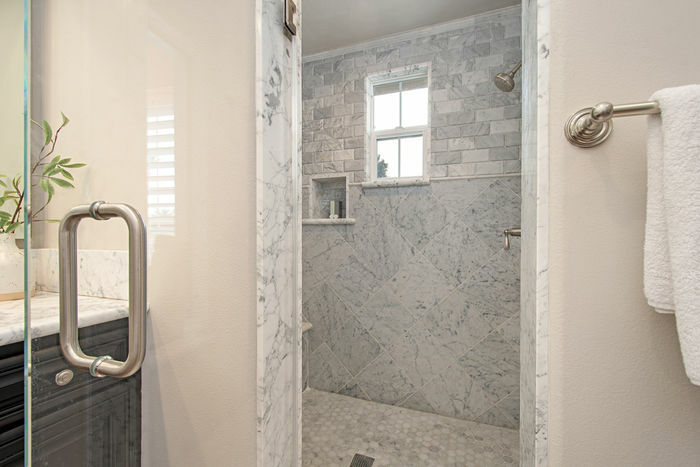 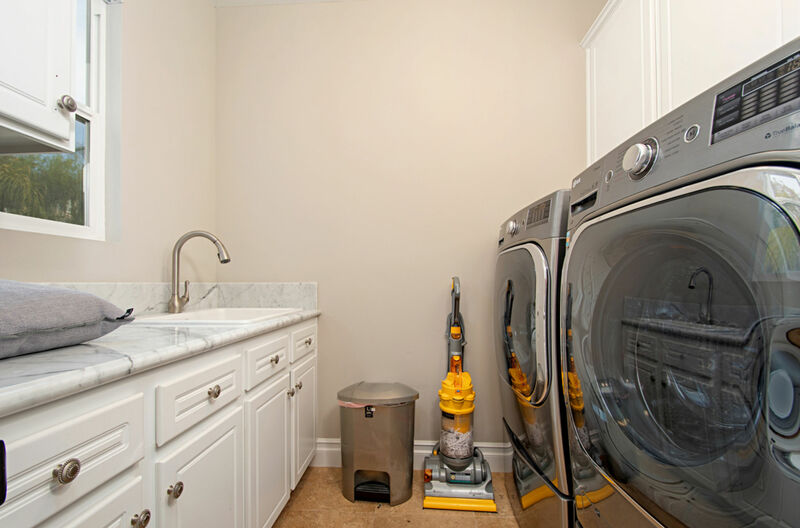 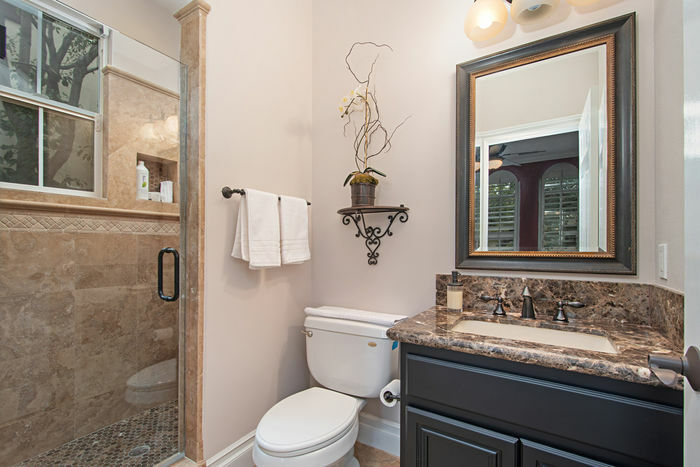 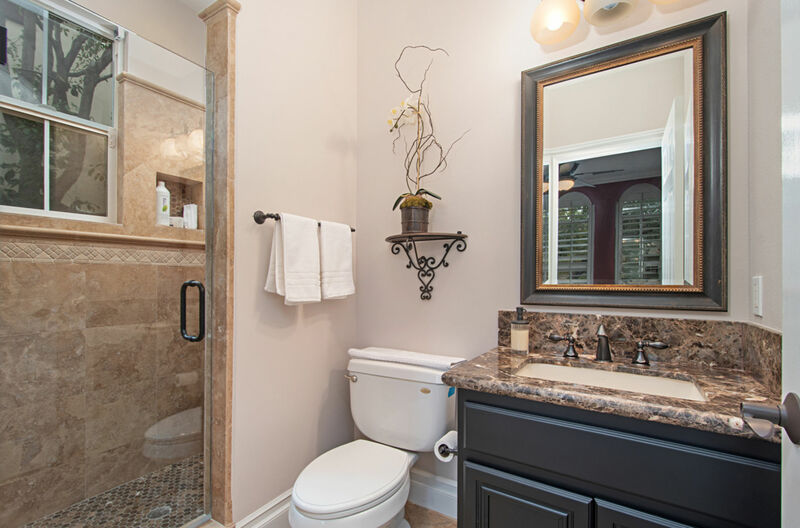 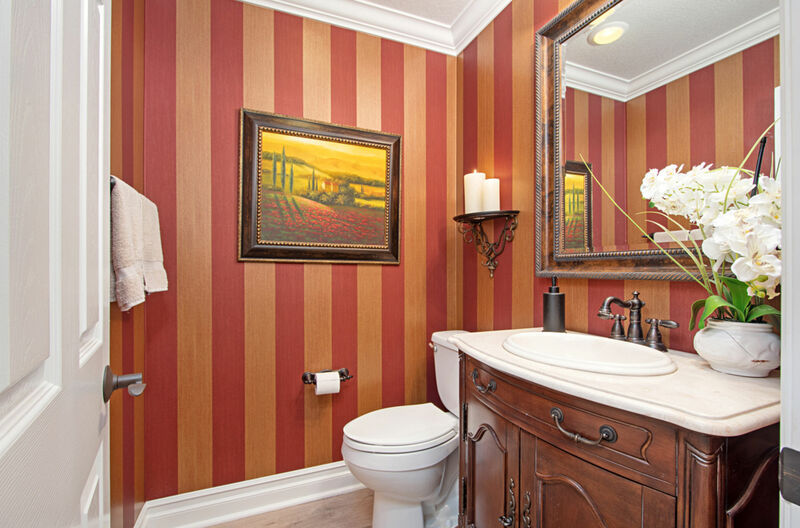 All bathrooms are fully remodeled with no expense spared in the Master bath ensuite that has never-ending CARRERA MARBLE, his and her vanities, roman tub with crystal chandelier, separate shower and of course a huge master closet with built-in cabinetry. 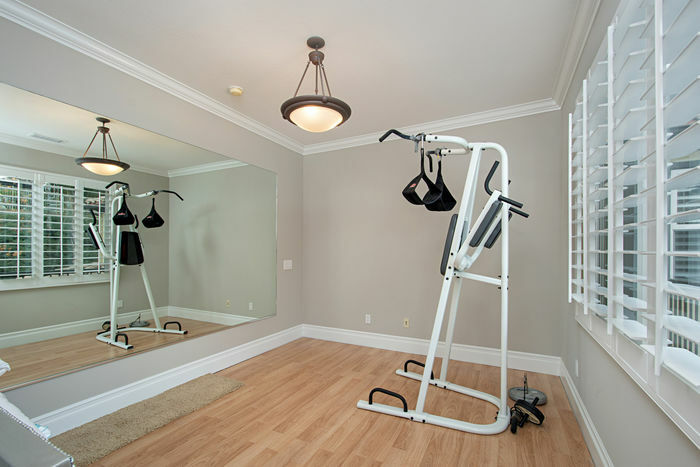 All bedrooms are large in scale, with one bedroom downstairs including an ensuite full bathroom, an over-sized Master with retreat, home gym and private balcony. 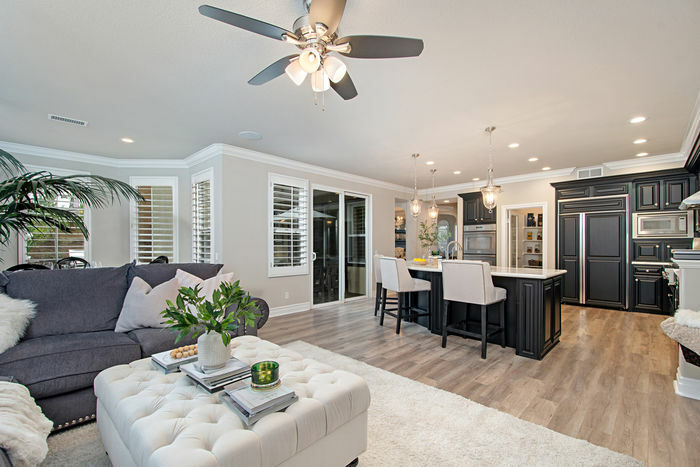 Life is a breeze in this modern home with smart features including NEST remote access thermostat, RING security doorbell, full home security system, LED lighting, home theatre speakers and reverse osmosis water system. 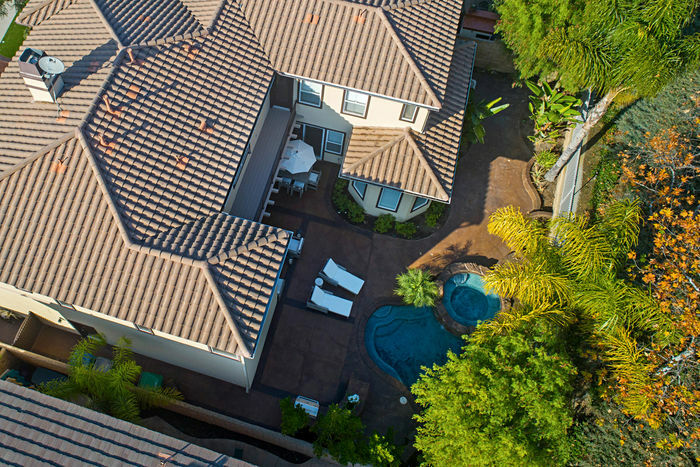 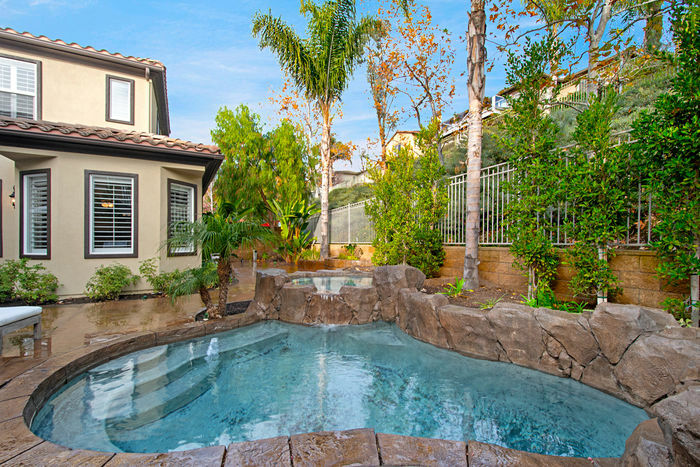 Private backyard has an in-ground heated pool, spa and built-in BBQ. 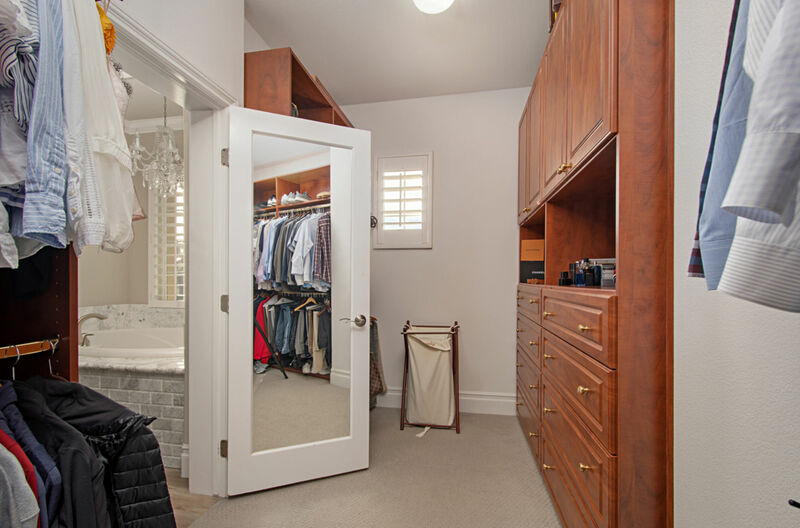 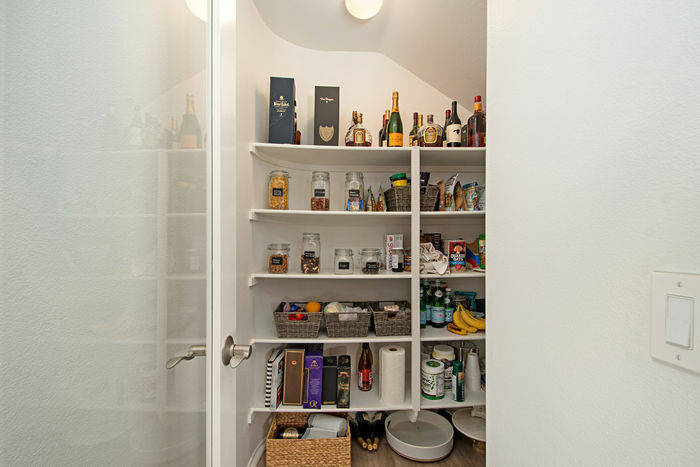 A THREE-CAR GARAGE with built-in storage and epoxy floors has endless possibilities. 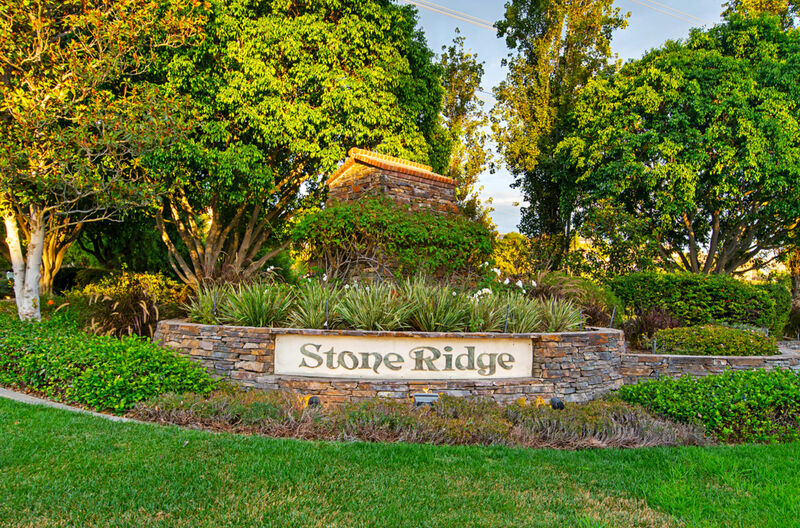 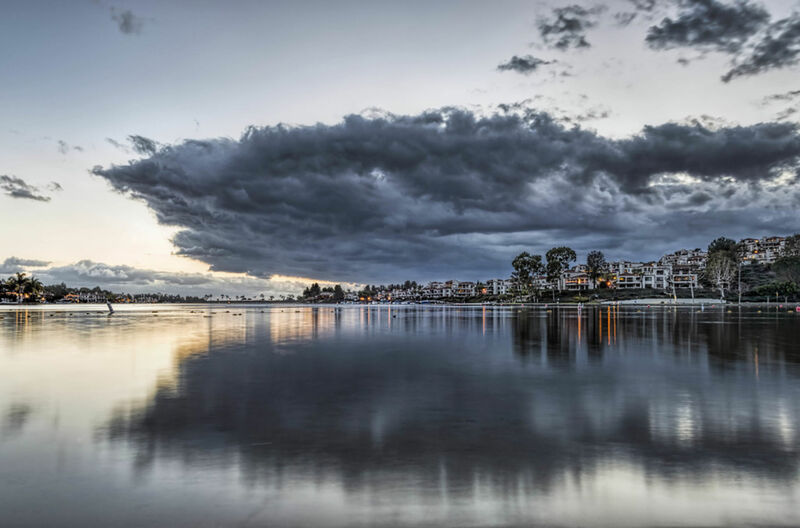 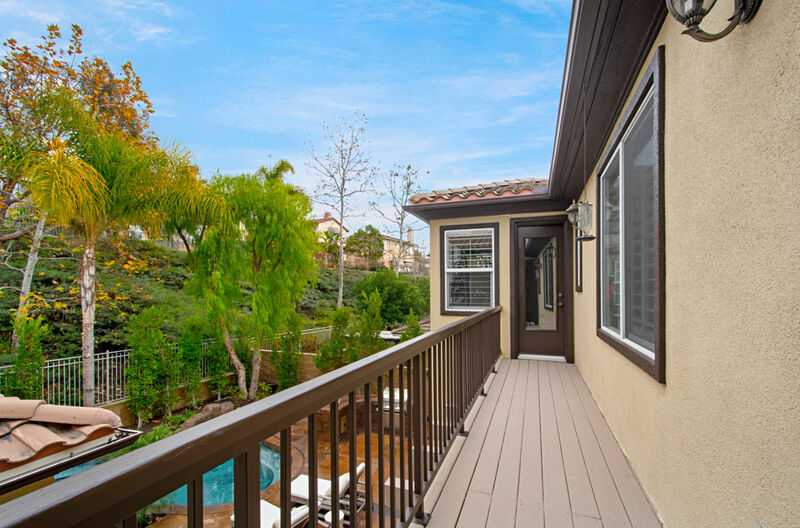 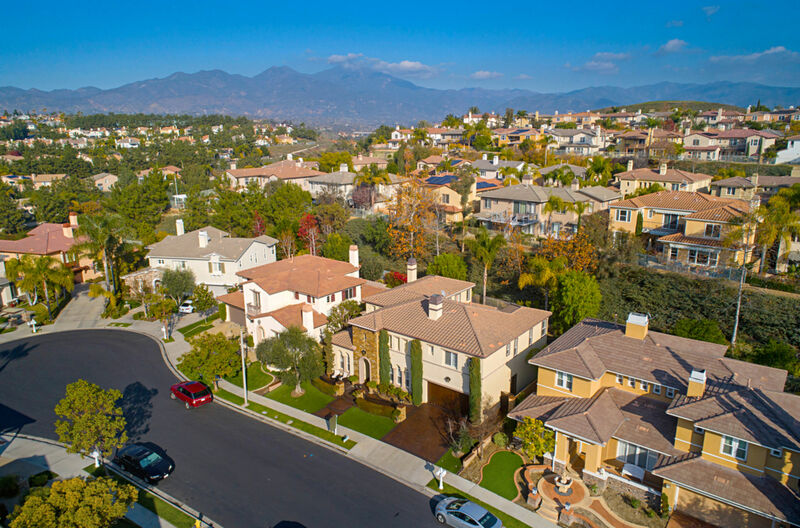 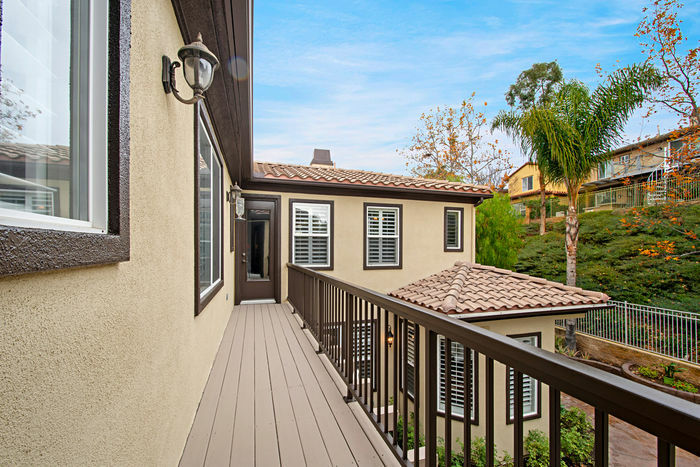 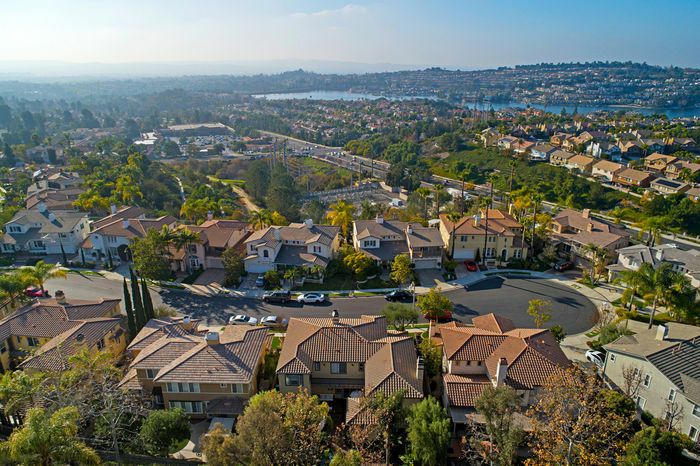 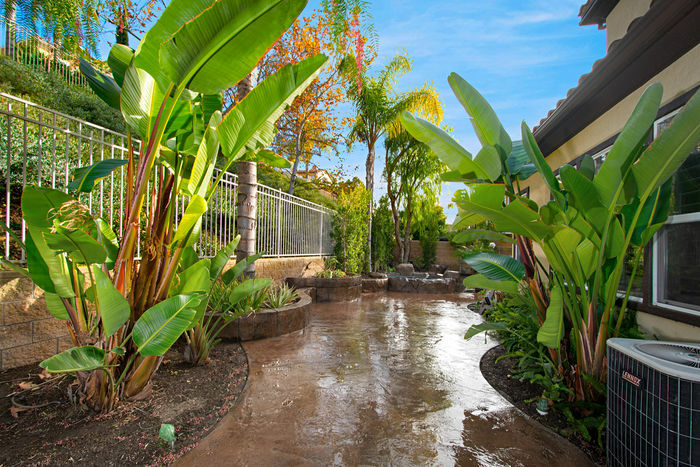 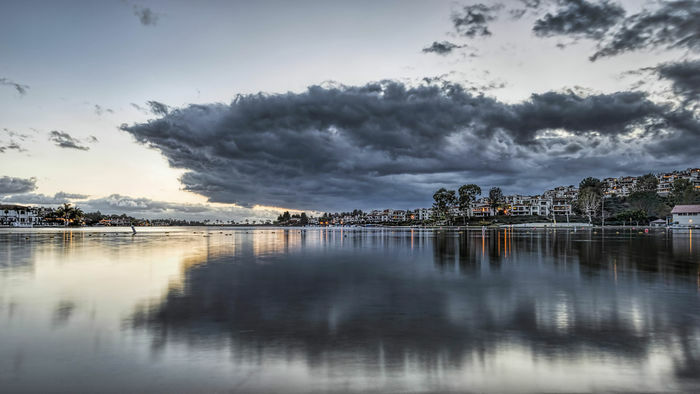 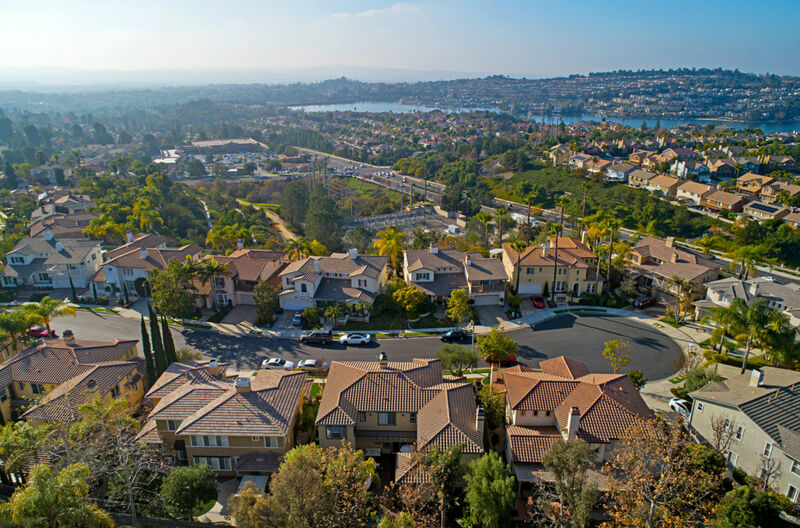 Nestled behind a 24-hour security guard gated neighborhood in the highly ranked “safest community” of Mission Viejo with access to all the amenities of Lake Mission Viejo, toll-roads, scenic La Paws dog park, golf courses, close to the beach and NO MELLO ROOS; it’s never been easier to find your dream home!